Electric Car Problems - Will You Still Buy An EV With These Problems? Electric Car Problems – Will You Still Buy An EV With These Problems? Home/EV News/Electric Car Problems – Will You Still Buy An EV With These Problems? You may have many questions in your mind before you actually go for an electric car, these question are natural. The first thing comes to the mind is how far the car can go and where to recharge the car. This probably is biggest deterrent for the people who want to buy an electric car. In addition there are other issues like long distance commuting, cost of batteries and other problem. For those who have to use the vehicle for long distance, the electric car is not for you. Electric vehicle (EV) are suitable for city driving and where recharge points are freely available. There are some vehicles like Tesla Roaster which have a range of 240 miles which seems to be a good distance covered by the electric car. The price is again a deterrent for Tesla Roaster which is around 100,000 dollars; the cheapest vehicles have very short running range and are not suitable for long distance and can be used for driving in city area. Many potential electric vehicles purchasers are not satisfied with the current electric car technology, but this is also a fact that many governments across the world are developing network infrastructure to install high current low time charging solutions. There are some stations which take 20 to 30 minutes for charging which seems quite reasonable as this time can be used as coffee or burger break. Recharging from the household sockets may take several hours due to single phase 10 amp limitations of many power points. Some of the countries like Japan and the United States are exploring using 3 – 6 times the energy density of current lithium ion batteries. Another option could be using Lithium polymer batteries which is considered to be future technology, with this technology range will not remain the issue. This mostly depends upon the number and type of batteries; you may also need a motor which matches the batteries. The cars which have fast speed will be expensive as the consumption of batteries is more as the motors require more current to run. There are other concerns like exploding of Lithium ion batteries. Another concern is the safety of electric car; these concerns are being resolved and are at the verge of being solved. The biggest risk is high voltage wiring in the electric car which is not there in the conventional petrol powered engine. There has to be a safety device like accelerometer kills switches, which will switch off the power from the batteries in case of an accident. 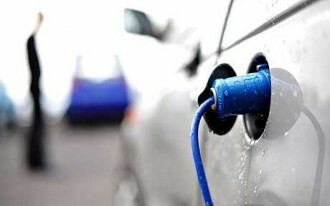 Generally electric cars are quite safe as there is no petrol or gasoline in such vehicles. One has to be extra vigilant at the time of recharge as there is possibility of electric shock, finally the removal of gear box will help the driver to concentrate on driving instead of changing the gears. The vehicle should be able to take you to favorite holiday destination; such a driving may not be possible with electrical cars. There has to be proper service stations where expert mechanics are available who have thorough knowledge of such cars. Since the technology is being developed, we may soon see all the obstacles removed for a smooth drive of an electrical car.